For more on the congregation's history, see Dancyger. Tifereth Israel (Glory of Israel) began in 1850 when Rabbi Isidor Kalisch and 47 families left the city's first synagogue, the then Orthodox Anshe Chesed. They rented quarters in downtown Cleveland. 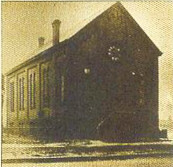 In 1855 the congregation moved to its own small building on Huron Road and Miami (now East Sixth) Street, also downtown. In 1861 this building was remodeled. Families could now sit together in pews. An organ was installed. In 1873 Tifereth Israel became one of the original members of the Union of American Hebrew Congregations (now the Union for Reform Judaism). The prayer book Minhag Amerika (the American rite) by Rabbi Isaac Mayer Wise was adopted. Rabbi Aaron Hahn, born in Czechoslovakia and educated in Germany, came to the congregation in 1874 and led them in the direction of Reform Judaism. In 1886 the congregation included 145 families and had begun Sunday morning lectures. Hahn resigned in 1892 and entered the practice of law. In 1892 Rabbi Moses Gries, only 24 years old, their first American born rabbi, a graduate of the Hebrew Union College arrived. Moses Gries would serve for 25 years. His organizational skills would strengthen his congregation, the Cleveland Jewish community and the larger Cleveland community. He began Sunday morning services. In 1894, as the Jewish community moved steadily eastward (a trend which is still ongoing), Tifereth Israel moved three miles east to the southeast corner of Willson Avenue (now East 55th Street) and Central Avenue. It was called "The Willson Avenue Temple" and then simply "The Temple." From a picture postcard titled "Wilson (sic) Avenue Jewish Temple"
Dancyger (13) writes of a dispute during the design of the new building. 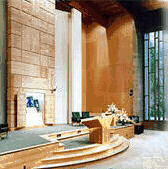 Would the sanctuary have an Ark for the Torah scrolls? Gries did not want one; the Board did. The compromise was to build the Ark, but each week Moses Gries would read from an English Bible and leave the Torah scrolls in the Ark. 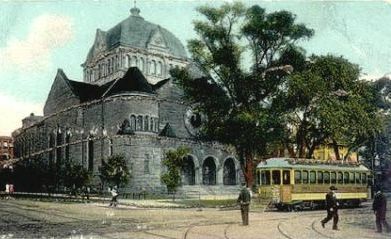 In 1900, on its 50th anniversary, the Temple had a membership of 476 families and was one of the nation's largest and best known Reform congregations. In 1916 Rabbi Gries, in poor health, announced that he would be leaving The Temple the following year. The congregation, now more than 700 families, began to search for his successor. For more on the Gries years and the search for his successor, click here. In 1917 The Temple called Rabbi Abba Hillel Silver, only 24 years old (the same age as Moses Gries when he came to the Temple) to its pulpit from a small congregation in Wheeling West Virginia. Two of our Wheeling pages tell about Silver's two years in Wheeling. Three pages describe how he came from Wheeling to the Temple. He was to serve The Temple for 46 years, until his death in 1963. His sermons eloquently displayed his extraordinary scholarship, concern for social justice and commitment to a homeland for the Jewish people. They attracted many non-Jewish visitors and would often be reported in Cleveland's newspapers. He continued the custom of Sunday morning services, but restored the teaching of Hebrew in the Temple's school. Three years after Abba Hillel Silver became its rabbi, The Temple began to build a new home, two miles east, in University Circle. It moved to this location in 1924 and took its place in a square-mile area that was to became the home of more than 50 educational, cultural and religious institutions. For a full page on the University Circle Temple, click here. For a larger picture, taken in March 2010, click here. Though many (perhaps most) of its membership were not Zionists, The Temple gave Abba Hillel Silver freedom to pursue Zionist activities. Members came to accept his absences and to take pride in his accomplishments. In 1947 it made an important contribution to the Zionist cause, granting Abba Hillel Silver an indefinite leave of absence. He could now devote all his energies to the decisions at the UN. In 1956 Abba Hillel Silver's son Rabbi Daniel Jeremy Silver, a graduate of Harvard University and the Hebrew Union College, began to serve The Temple. He later earned a Ph.D. from the University of Chicago and wrote extensively on Jewish history and culture. Upon his father's death in 1963 he became Senior Rabbi, serving 26 years until his untimely death in December 1989. 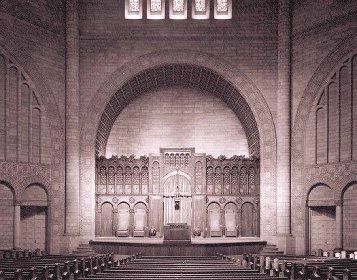 The Silver Sanctuary in the University Circle building, named to honor the memory of the father and son who spoke from this pulpit for more than 70 years. 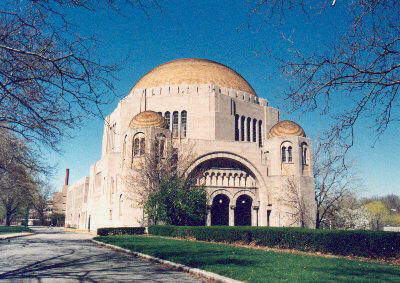 The Temple was the last of the large Jewish congregations to move outside the city limits, to the suburbs. In 1964, as many younger Jewish families moved farther east beyond the inner-ring suburbs, it built what it called a 'branch' in Beachwood, six miles east of its University Circle location. Now, nearly 50 years later, this building, much expanded, is the home for nearly all congregational activities. 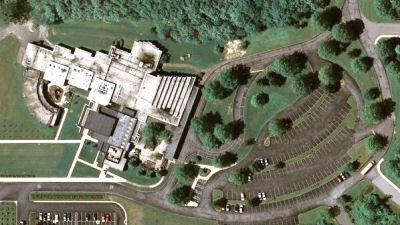 The congregation is now "The Temple - Tifereth Israel", combining the two names it has been known by over the years. Over the past 40 years under senior rabbis Daniel Jeremy Silver, Benjamin Kamin, and now Richard Block, its 1,600+ member households have put the days of Classic Reform Judaism behind them. No Sunday services sitting in pews, a bare-headed rabbi in a morning coat leading a service without Hebrew, the Torah scrolls left in the Ark and congregants singing (or, more likely, hearing a choir sing) hymns composed for the 19th century Protestant liturgy. The congregation, which in its early years had moved so swiftly to the most liberal Reform practices, has been slower in moving away from them. But the direction is clear. In the 1950s and 60s Bar Mitzvah ceremonies were seldom held. By the 1970s, Bar and Bat Mitzvahs started to become the norm and now Confirmation ceremonies are the exception. (See Four Generations of Confirmations.) Sunday morning services ended. Vesper Services at University Circle have evolved to regular Friday evening services. In 1999 the Music Director position was ended and a Cantor hired. Its clergy staff is Senior Rabbi Richard A. Block, Rabbis Roger C. Klein and Rosette Barron Haim, and Cantor Kathryn Wolfe Sebo. Members of The Temple - Tifereth Israel now enjoy a more modern version of liberal Judaism — warmer, with greater respect for tradition. For more about the congregation today, visit their web pages at www.ttti.org.